This book is the based on the work of many people, and while I discuss many of them in the general context of this book in Chapter 1,1 would like to emphasize here the contribution of all those people involved. My apologies in advance to any I have omitted to mention. The backbone of the book is based on a project, 'Farm Lives' conducted between 1999 and 2002, funded exclusively by the McDonald Institute for Archaeolog- ical Research at the University of Cambridge; without their essential financial support, this would not have been possible. The project involved three components: archaeological fieldwork, archive research and oral history interviews. For the fieldwork, spe- cial thanks goes to Marcus Abbott, Jenny Bredenberg, Glenda Cox, Olivia Cyster, Andy Hall, Odile Peterson, and Sarah Winter; for po- excavation analysis of materials, I thank Duncan Miller (University of Cape Town), Peter Nilsson (South African Museum) and Jane Klose (University of Cape Town). 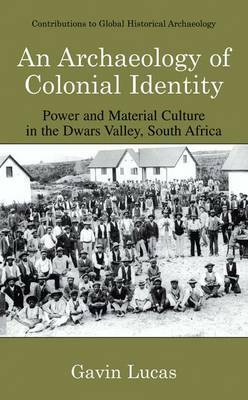 For the archive research, I would like to thank J. Malherbe (Huguenot Museum) and Harriet Clift (South African Heritage Resources Agency), but most of all, Jaline de Villiers (Paarl Museum). For the oral history, my thanks go to Sarah Winter, Rowena Peterson and Jaline de Villiers for conducting interviews, and to the informants, Johanna Dressier, Louisa Adams, Geoffrey Leslie Hendricks, William Davids, Absolom David Lackay, John Cyster November and Lillian Aubrey Idas. Lucas's linkage of finds, buildings and wider landscapes into a theoretical framework shows historical archaeology at its best.